At Halo Headband we pride ourselves in making sweatbands that actually work. Our patented SweatBlock Technology channels sweat away from your eyes so you can focus on cycling, running, training, or just plain working hard. Our sweatbands also feature Dryline® Fabric for increased performance through wicking away sweat and absorbing moisture. Our product began with the original Halo I - tie version, but we now have sweatbands for any application. From cycling skull caps, to sports bandanas, to our best-selling Halo II elastic sweatband, you are sure to find a headband that works for you. 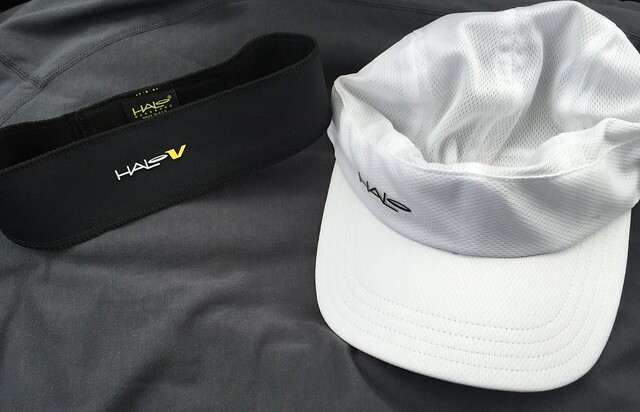 The Halo V is the latest addition to the Halo Headband line of sweatbands. 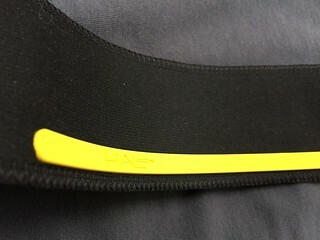 Featuring an adjustable Velcro® strap, this headband is a great solution to athletes looking for a custom fit. The headband contains the same patented Sweatblock Technology as our other sweatbands and is a great alternative to our other adjustable headband, the Halo I – tie version. The Halo Sport Hat is designed with all the functionality of a Halo Headband, but with the added protection from the sun that a hat provides. 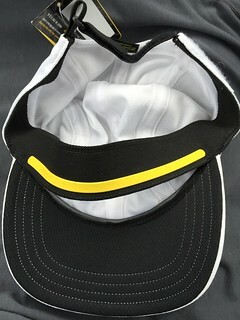 The hat includes our patented Sweatblock Technology to keep sweat out of your eyes and face, and the underside of the bill is black to reduce glare. When I run, I have a series of headbands and Buffs that I have accumulated over the years. Some are better than others, and the majority get the job done. But given my sweat level, the cheaper versions I have only hold up so long before sweat starts piling up in the fabric on my forehead and drips make their way through. Additionally, they don’t last very long before they start to stink and lose their elasticity. The Halo V Sweatband, and subsequently the Sport Hat (a combination of the band in a hat addition), has worked well over this testing period. The little rubber-feeling block on the inside, or more appropriately – their SweatBlock Seal – actually delivers what it sets out to. Never once did any sweat make it down my face when wearing either the band or the hat. The channel looks uncomfortably thick at first glance, but I never even noticed I was wearing it. I also imagine it would be a great option for cyclists under their helmets. Like I mentioned earlier, the hat is the addition of a hat with the same headband. It also has a UPF of 40 for the darker colors and 20 for the white version. It’s comfortable and is a champ at drying quickly. It hasn’t started to smell yet, though it has been a relatively short time. It does come with a 1-year warranty, so if stuff goes awry, you are covered. As far as visuals go, it has a pretty low profile, so adjust your visual expectations accordingly. Halo Headband has all kinds of products in their Webstore, from ties and bandanas, to visors and skull caps. NATHAN’s essential offerings, built for road warriors, ultra runners, triathletes, couch to 5Kers, and every dedicated athlete in between, include industry-leading and best-selling hydration vests, belts, handhelds, bottles, running paks, active visibility and reflective vests, and other gear, all designed to help you run stronger and longer. Impressions: I don’t generally run with water. Over the past few years, I have utilized water stations as my primary source of hydration, and relegated most of my packs and belts to the back of the running closet. It’s not that they aren’t fine products, but I am finding that I generally get by between aid stations without really wanting water. 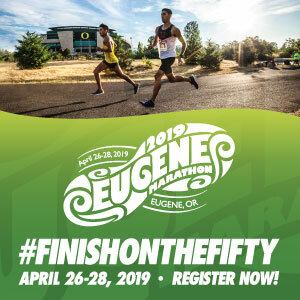 However, when I read the FAQ about the 2016 Timberline Half Marathon, it noted that, while there were 3 aid stations, the first wasn’t until near mile 7, and the final stretch was gonna be a decent uphill. 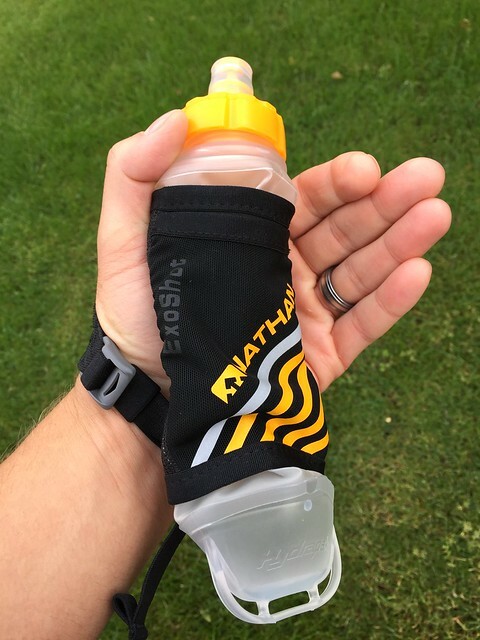 They recommended runners carry their own hydration – and I was immediately thankful that Nathan had sent some hydration gear along for testing. 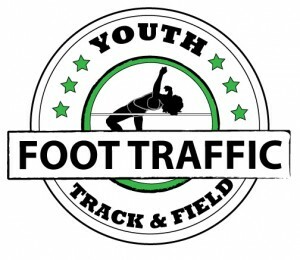 I utilized one such product – the Nathan ExoShot – in this event and had some positives to go along with some challenges. I want to mention right off the bat that the ExoShot really fit all my needs perfectly. It was small (only 12 ounces and under 3 ounces empty), which is perfect. For the most part, I didn’t want to lug around a ton of water – just enough to get me from one fill station to the next. Obviously, it wouldn’t be ideal for long aid-station free runs. But for filling the void between water sources, it fits quite well. Also, it didn’t interfere at all with my range of motion – as some bigger packs and belts tend to do. It just strapped to my hand and I went forward – easy and comfortable. I also really liked the simplicity of the lid. Twist one way to open and get a great mouthful of water, and a reverse turn to close. Some of the challenges I experienced were around the design. On first fill, I noticed that if I squeezed hard enough water would leak out from under the cap. I tried untightening and retightening multiple times, but to no avail. During my runs, I have not experienced significant leakage, but I know that if squeezed hard enough it would. Additionally, while not technically “difficult” to refill, it is a challenge to do so without spilling water in the process. 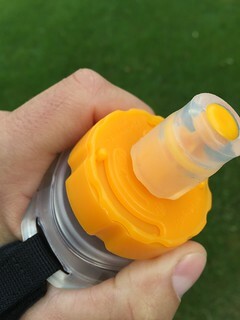 Because the bottle itself is so flexible and constricted by the hand sleeve, when it comes time to holding the bottle to put the lid back on – it’s unavoidable that your grip is squeeze is going to force some water out the neck before the cap can be tightened. Overall, I didn’t find these challenges that contributed to minimal leakage necessarily a gamebreaker, but it was evident nonetheless. That being said, I had no major challenges to report along the Timberline Half Marathon and I am legitimely excited to utilize during upcoming races – even if my hands get a little wet in the process.